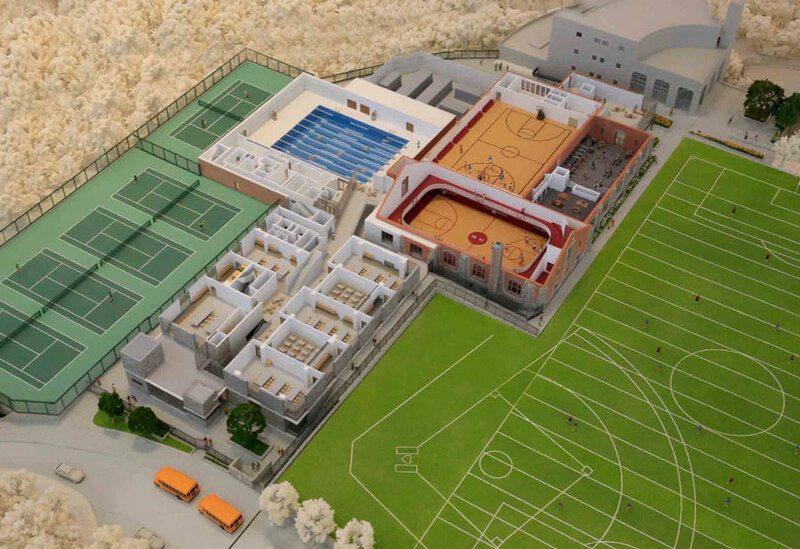 Horace Mann School, a private institution in Fieldston, the Bronx, asked SOM to design a new campus and science center, a pool, and upgrade its gym. Architects at SOM are going back to school, this time in the Bronx. 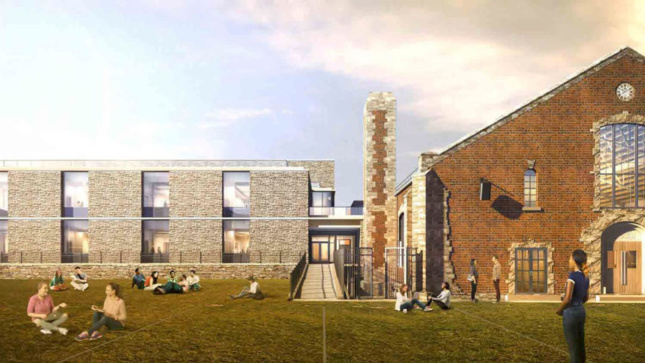 Horace Mann School, a private institution in Fieldston, the Bronx, asked the firm to design a new campus and science center, a pool, and to upgrade its older gymnasium. In all, these improvements cover 111,000 square feet and add 68,000 square feet of space to the school, which serves 1,800 students, pre-K–12. Outside, the connected science and campus centers’ brick-and-stone facade references the gymnasium, and their blocky massing steps away from the adjacent athletic fields to bring their scale in line with older buildings on campus. These structures, along with the new aquatic center and updated gym, will shape the North Campus, which is used by around 1,200 students in grades 6 through 12. New York–based Mathews Nielsen is the landscape architect. The firm’s New York office worked with the school to master-plan this part of the campus, too. The plan outlines a design standard grounded in classic brick and stone, while providing for fluid learning spaces where students can peck away at their laptops or collaborate on group projects.